Thanks to everybody who turned out last night to see and hear the wonderful Daria Kulesh! An evening of enchanting stories, songs and music inspired by her Ingushetia homeland. And what a beautiful voice! A reminder for the next event at Scoriton Village Hall – a great opportunity to see high quality theatre production on your doorstep about an issue that affected our community. 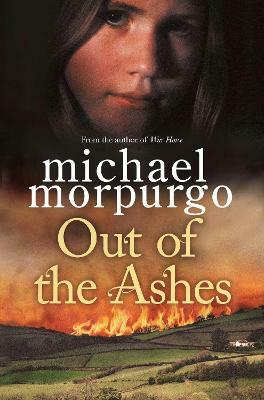 Based on the novel by Michael Morpurgo, Out of the Ashes is the story of a girls experience on her family farm in Devon during the outbreak of foot and mouth disease across the UK in 2001. Becky’s diary comes alive on stage using heartfelt storytelling and beautiful staging. The technical ability, passion and sensitivity demonstrated by these two musicians is at the top of what you would hear from a folk musician who specialises in the traditional music of their own country; that they maintain this level of brilliance across a wide range of musical traditions is astonishing and a joy to listen to. Treat yourself ! This fantastic award winning group are performing on saturday 17th October. We’re very lucky as we are the only venue in the South West! The Shee bring Electro-harp, accordion, fiddles, flute, mandolin and three powerful voices together with their diverse range of individual musical influences to produce an adventurous brew of Folk, Gaelic and Bluegrass. Tickets are selling fast so if you’d like to join us please book asap. Spring 2014 – The hall has had a new floor recently laid and completely redecorated inside – we are now very smart indeed! Last night there was a very interesting talk by Dr Tom Greeves of The Dartmoor Society. The talk was entitled “The Tinners of Scoriton and Holne from the Middle Ages Onwards”. Many thanks to all those to came along – we hope you enjoyed!